This is the kind of book children rave about—simple, spectacular, speedy and daringly sparse. Ms. Levine persists in her creation of strong heroines but this time tells a tale of her own, one so finely wrought that it feels centuries old...it deserves to be around for a long, long time. 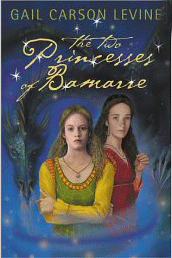 ...once again, she's created a lively tale with vivid characters and an exciting plot.